Vanessa Kisuule is becoming an incredible force to be reckoned with on the poetry scene. When I performed with her back in 2011 at Glastonbury I was blown away by her power, honesty and effortless skill at making her point stand stronger than the sum of her words. 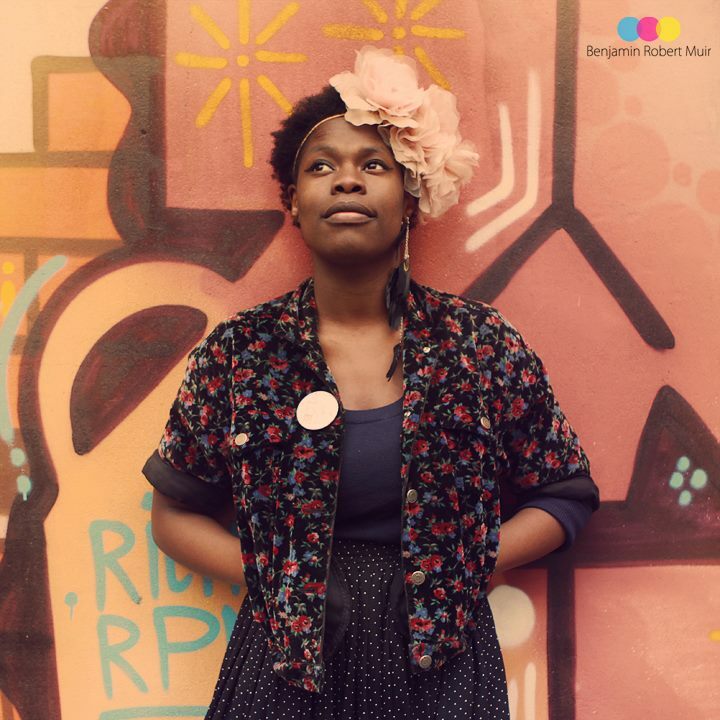 She has won several slam titles including the Farrago Schools Out Slam Championship 2010, the Bang Said The Gun Award, Poetry Rivals 2011, the Next Generation Slam 2012, Slambassadors 2010, the South West Hammer and Tongue Slam Champion 2012 and most recently The Roundhouse Slam 2014 and the Hammer and Tongue National Slam 2014. She has worked with the Southbank Centre, The Bristol City Council and the BBC and represented the UK in two European Slam Championships in Sweden and Belgium. She has performed at an array of festivals, including Glastonbury, Lounge on the Farm, Secret Garden Party, Wise Words, Wilderness and Shambala Festival and renowned poetry events such as Blahblahblah at the Bristol Old Vic, Chill Pill in London, Hit the Ode in Birmingham and Shake the Dust in Plymouth. She has also recently been involved in the BBC project, “Women Who Spit”. Check out her poem “Take up Space” on BBC iplayer. Pete the Temp aka Pete Bearder has got the busiest job of all us poets during the festival. He’s the official ‘Glastonbury Website Poet in Residence’. Oh yeah. Which means he’s going to be gallivanting around the site and seeking inspiration for poetry which he’ll be regularly uploading to the official Glastonbury site. As well as giving radio and TV interviews and meeting celebs, he’ll be finding the time to come and perform in our tent. But he’s a professional. He can take it. 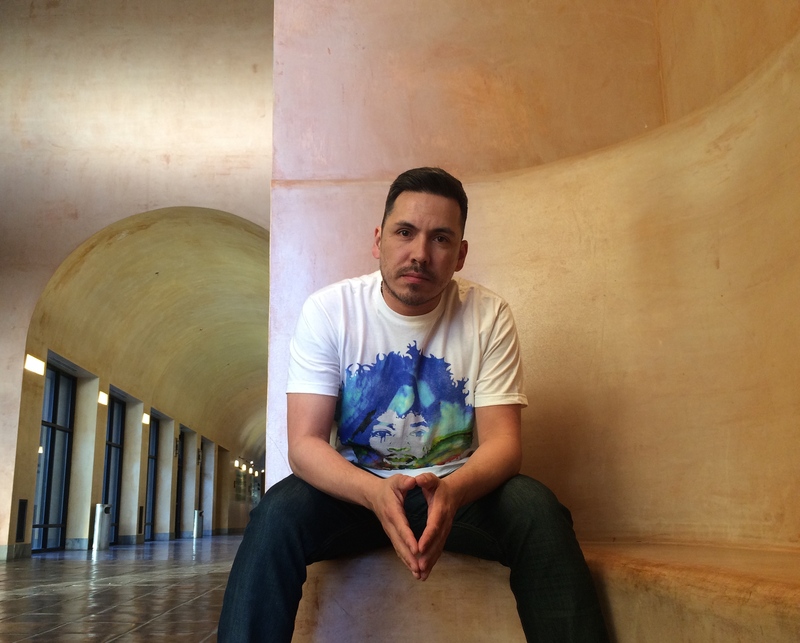 He’s not only a singularly gifted poet, but also an educator, beatboxer and loop pedal artist. His work has been featured on BBC Newsnight, Radio 4 and the World Service. In 2009 he became the Hammer & Tongue National Poetry Slam Champion and last year he did a national tour of his one man stage show ‘Pete (the Temp) vs Climate Change’ in which he single handedly defeated climate change using only his mouth. He has performed poetry to audiences of over 3000 people while touring with the pyro- circus rave band, Slamboree and has workshops and performances in Scandinavia, the Baltic states, and Central and Eastern Europe through Goldsmiths University and The British Council. In his free time he draw pictures of monkeys. Another incredibly gifted young poet I’ve had the pleasure of performing with at festivals. Effortless delivery with a real point to make that doesn’t shout but pervades through you with passion and persuasiveness. 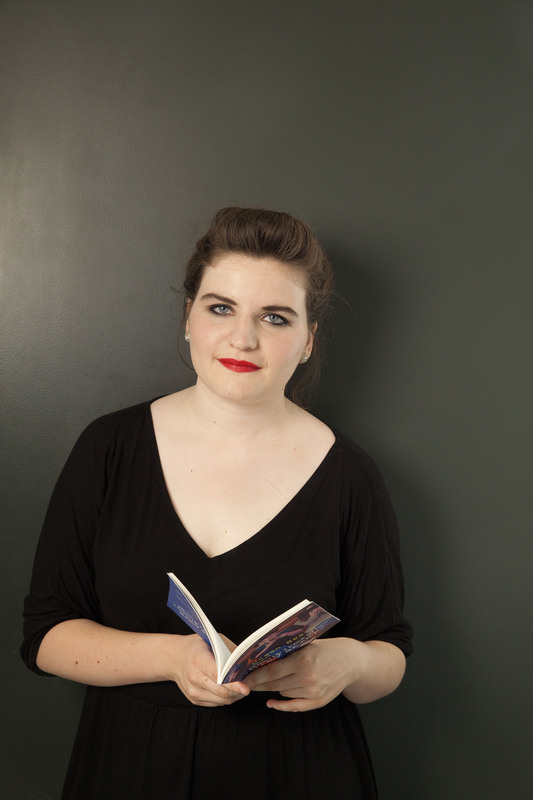 Megan Beech was the winner of the Poetry Society’s SLAMbassadors national youth slam 2011, and the Poetry Rivals UK under 18 slam 2011. She has performed at venues including Parliament, the Southbank Centre, Latitude, Larmer Tree and Glastonbury Festivals, as well as for institutions including The British Museum, Keats House and the University of Cambridge. Her debut collection ‘When I Grow Up I Want to be Mary Beard’ was published by Burning Eye Books in December 2013 chronicling her experience as a young feminist and the fight for female voices and role-models to be presented in mainstream media. She was featured in The Guardian lists of ‘inspiring young feminists in 2014’ and ‘Must Read Books of the Year 2014’. Megan has also been involved with the BBC’s ‘Women Who Spit’ project. This is her poem “you can’t be it, if you can’t see it”. On BBC iplayer. 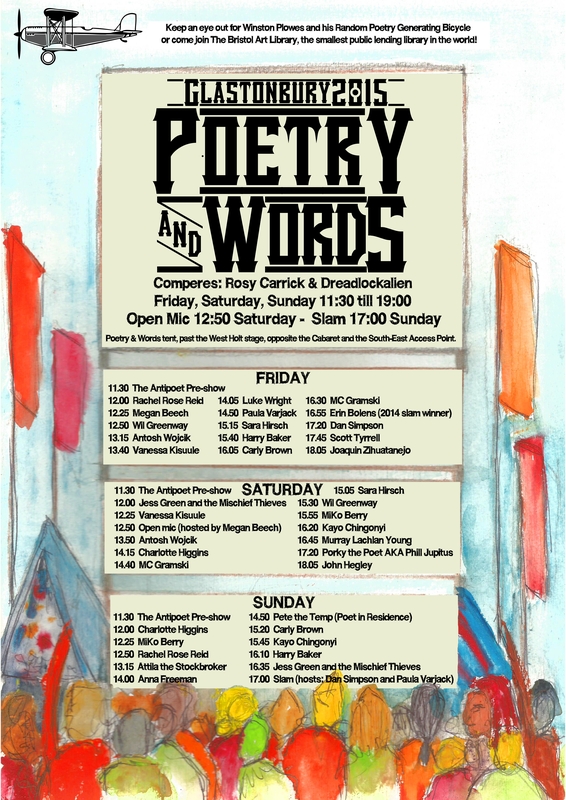 As well as performing she’ll be hosting the Open Mic at Poetry&Words this year, where the talented, poetic festival-goer can have a go on the hallowed stage. Check out this guy’s credentials: He is the current European Slam Champion and a finalist at last year’s World Slam in Paris. Based in Edinburgh, he is also the founder of the renowned Loud Poets and has performed regularly around the UK, where his flair for combining the finest literary technique with consumate stage savvy has ensured his reputation as a poet and a performer. He also professes to be an untalented but enthusiastic dancer. I hope we’ll both get drunk enough to put that to the test at the Stone Circle. 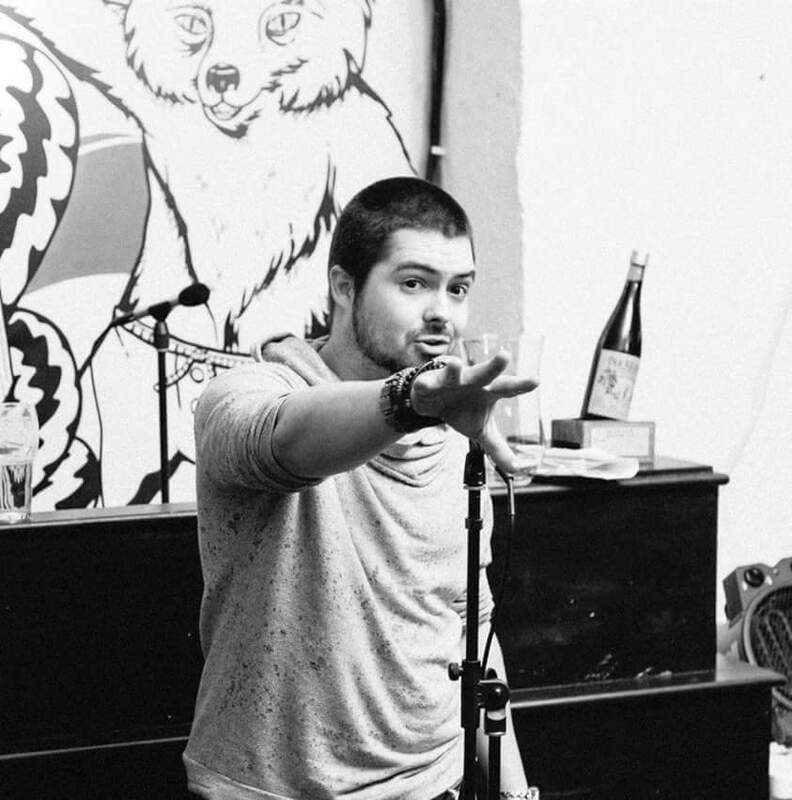 Joaquín was the winner of the 2008 Individual World Poetry Slam Championship besting 77 poets representing cities all over North America, France, Japan, and Australia. Due to this victory Joaquín was the poet chosen to represent the U.S. at the 2009 European World Cup of Poetry Slam in Paris, France, a competition that he won besting 15 poets from 15 different nations making him the number one ranked slam poet in the world on both sides of the Atlantic. In recent years he has given performances in Mexico, Canada, Spain, Germany, Austria and the Island of Reunion off the coast of South Africa. Joaquin has shared a stage with Kanye West, Alicia Keys, Billy Collins, and the late Maya Angelou among others. Joaquín was recently invited by NPR to be interviewed for two upcoming series, Historias and The National Teacher’s Initiative. Joaquin is the author of four collections of poetry, Barrio Songs, Of Fire and Rain, Family Tree, and Like & Share. His fifth book, Fight or Flight, is due out late summer of 2015. from CoolSpeak Book Publishing. Support Joaquin at www.artspeakspoet.com. Follow him on Twitter @thepoetjz. Like him on Facebook or Instagram at Joaquin Zihuatanejo. Joaquín has two passions in his life, his wife Aida, and poetry…always in that order. So, excited yet? And that’s only the first 5. Stay tuned for more wonderfully talented people in the next few days.